Professionals at Elite Pipeline are able to install mechanical seals in pipe 18’’ to 200’’. An internal seal is a flexible rubber clamp that ensures a non-corrodible, bottle-tight seal around the inside ID of the joint. These same clamps may be used for the rehabilitation of a variety of pipelines and materials. Internal seals allow for fast installation and immediate solutions. 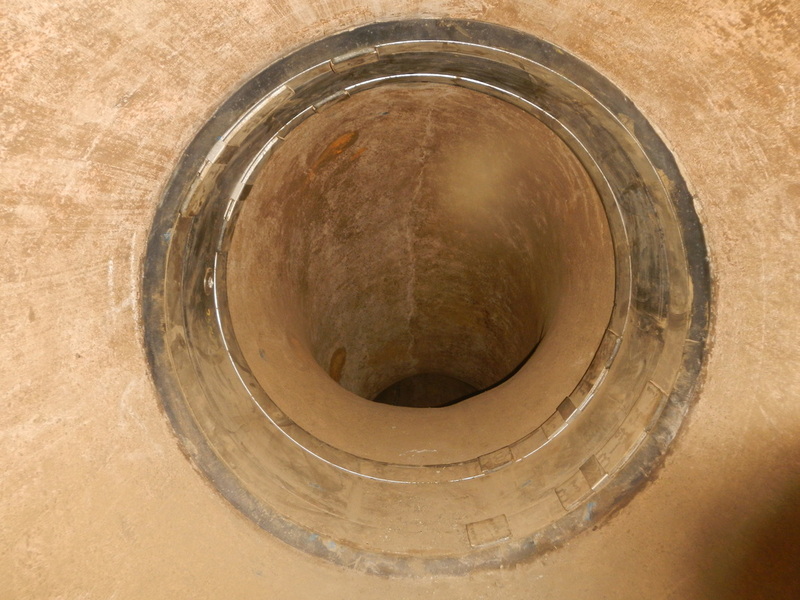 These seals will help prevent leakages due to pipe damage. Every seal is expanded, re-expanded, and air tested. Internal seals will provide a bottle tight seal and prevent infiltration or ex-filtration on existing pipelines. 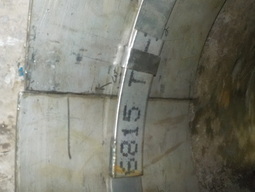 These seals may be installed on different pipe configurations and shapes. Internal seals are an excellent repair option in that they are cost effective and maintenance free. Internal seals provide a leak-proof fit at bottle-tight joints, are flexible, and non-corrodible. These seals accommodate normal pipe movement from ground shifting, thermal expansion/contraction, and vibration. Internal seals allow for fast installation and immediate solutions. Medium Diameter Seals range from 18" and up and are a common form of solution through the Nuclear & Water Industries. 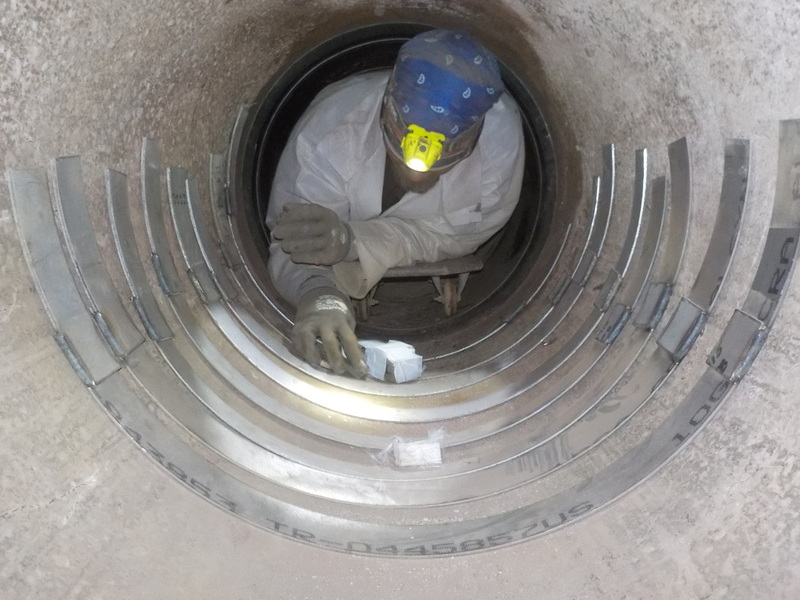 Large Diameter Internal Seals can be install up to 200" and are a cost effective solution for large diameter piping. Prior to Internal Sealing, Elite can install structural backing plates if the area is below an acceptable loss.